How are you yet another Sunday evening? (Well, at least it is for me.) 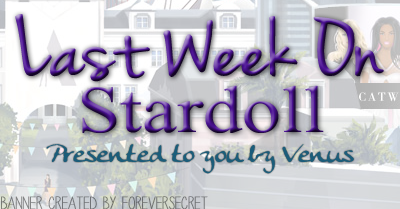 I am pretty sure you all loved this week on Stardoll. Not sure why am saying this, missed anything? Read on! The week started with a new PPQ store floors release. The store is nice, as usual. Loving the long gowns, as usual. Accessories are nice too. But the weird thing was that we only got 2 new floors on Monday, and another 2 floors on Friday. 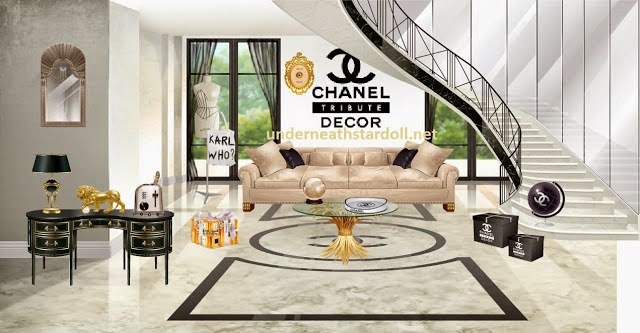 PPQ is one of the best stores on Stardoll, but a bit more sophisticated, elegant, mature, compared to Nelly.com, which is a fantastic store, as well. And yay for not being limited in any way, so I can plan my purchases, instead of having to buy everything I like at once. Btw what's with only one pair of shoes in whole collection?? On Tuesday, new Chanel collection. Don't scream and jump of joy yet - it is only a decor store. "It's gorgeous, but essentially unnecessary. We already have great Decor stores in Plaza, and when it comes to Tribute stores, specially Chanel, we all expect and prefer clothes. But then again, who can understand their decisions..."
I have to agree with her, and thank her again for help. Moving on. Okay, I know you've been waiting, like forever, for this update, and you finally got it - new facial features for our dolls!! 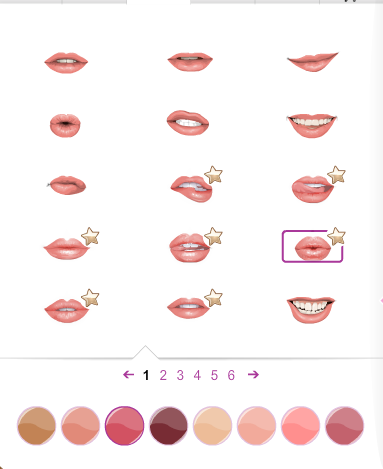 Okay, the features seem quite nice, but for example, lips seem to be inspired by lips made in stardesign by various users. Still it is a good idea, as you can now have them for free (well, not exactly), and change their colors easily. New eyes are gorgeous too. The only downside is that all new facial features are, of course, only available for superstar and royalty members. But the previous ss features are now for everyone, which is really nice and fair from Stardoll. My personal opinion: I do not like experimenting with my doll in that way, by chancing eyes, lips, etc. I have made my doll look the way it does, and made it recognizable. Still, I may try considering some of those gorgeous lips. Remember me saying last week that we didn't have any offers recently by Stardoll? Seems like they got the hint, and released another offer. So from Friday to, well today, you could get the hairstyle from the photo above, when making a purchase, as usual: either by buying superstar membership, or topping up stardollars. Kinda weird hairstyle, but gorgeous at the same time. Yet still not enough to make me extend my membership. How about an update you promised us? New Ink'd collection would be nice as well. Or how about new Strike-a-Pose, while I am still royalty? Okay, now I'm rambling here, so I'm gonna stop. Anyway, the week was nice, interesting, not just a bunch of random releases, which is a huge plus from me. Now I believe a hard task: vote for your favorite moment. Also, see you next week.